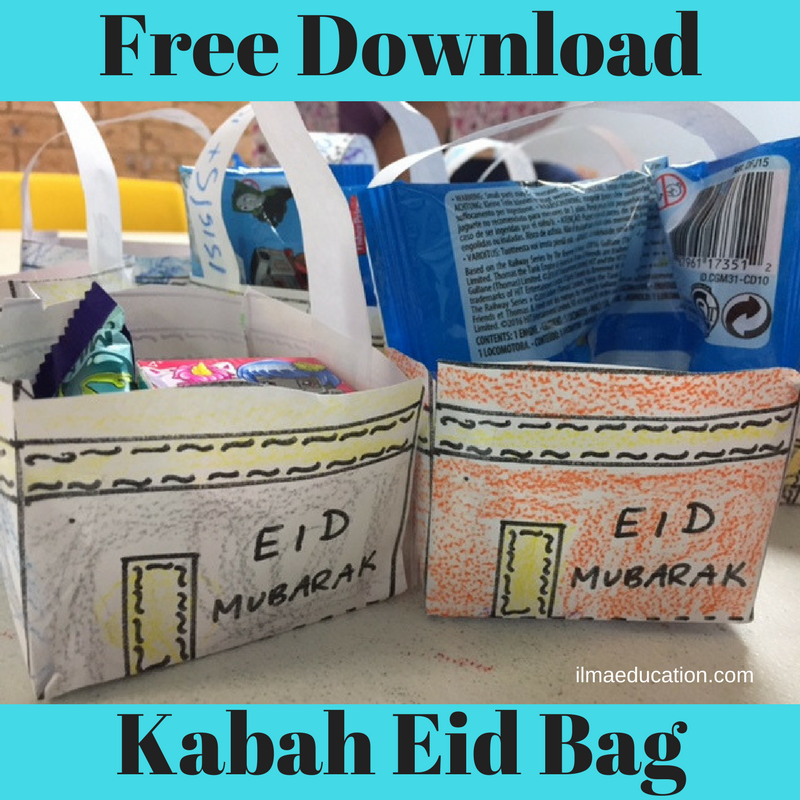 For the previous Eid ul Fitr, I had my prekinders make these masjid Eid bags. The children really loved it and were so excited. 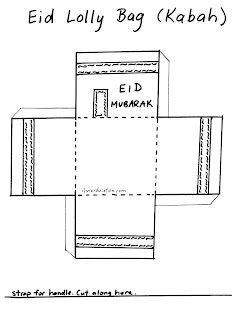 For this Eid ul Adha I thought we'd do something similar. So instead of the masjid, I designed it to be the Kabah. Talk about hajj to your children and the significance of the Kabah. 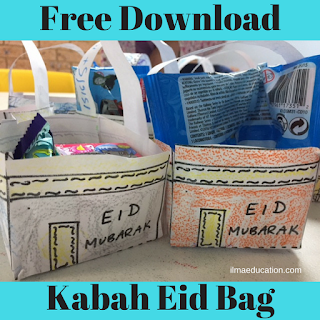 Then make this Kabah Eid bag. Once they're done then fill them with goodies. 1. Print. I used paper but you can use cardstock to make it firmer. 2. Have the children colour the Kabah. Since these were prekinders I wasn't too fussy on the colour as long as they had the door and the decorated strip in yellow I didn't mind what colour they used. For older children they might want to use black. 3. Instruct children to cut the strip out for the handle. I had my prekinders write their names on the handle but you could actually have your children write Eid Mubarak. 4. 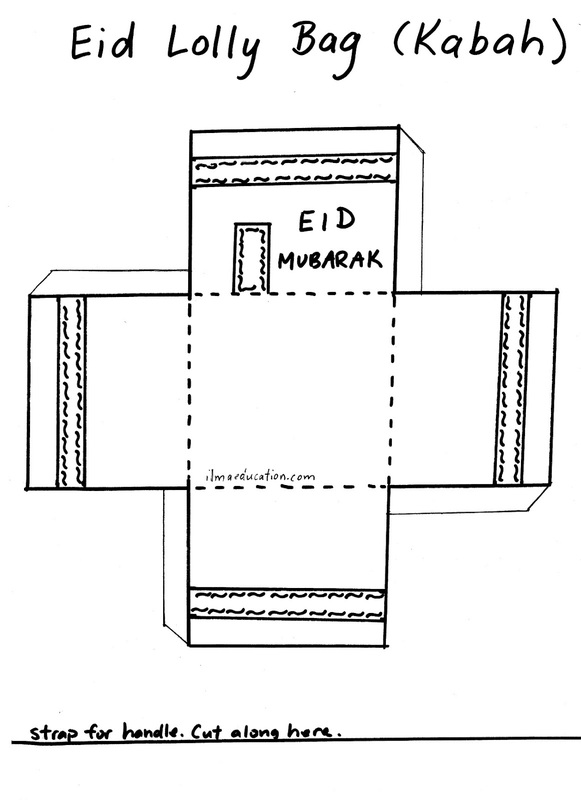 Instruct your children to cut around the Kabah, around all the squares and flaps. 5. Once they've cut everything out then you can fold along the dash lines and fold back the flaps. Glue then sticky tape the flaps in place. Then tape the straps or staple them the Kabah.